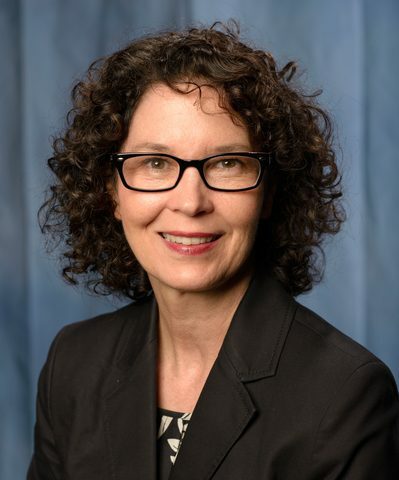 Dr. Blue is the Associate Vice President for Interprofessional Education – UF Health, and the Associate Dean for Educational Affairs and Clinical Professor in the College of Public Health and Health Professions at the University of Florida. She earned her doctorate in Anthropology (Medical) from Case Western Reserve University and completed a National Institute of Mental Health post-doctoral fellowship at the University of Kentucky College of Medicine, Department of Behavioral Science. Dr. Blue has been engaged in health professions education for over 20 years, having implemented and directed several educational programs involving students from multiple health professions, such as medical, dental, biomedical science, pharmacy, nursing, occupational therapy, physical therapy, and public health. In 2007, she became the founding director of the interprofessional education program at the Medical University of South Carolina where she was named the Assistant Provost for Education at that time. She remained in that role until she left to assume her current position at the University of Florida. She has published over 100 peer-reviewed articles in the medical and health professions education literature and is an Associate Editor of the Journal of Interprofessional Care, and an Associate Editor for the Journal of Interprofessional Education and Practice. She is founding co-chair of the American Interprofessional Health Collaborative. Dr. Blue served as a member of the Interprofessional Education Collaborative Expert Panel that wrote the Core Competencies for Interprofessional Collaborative Practice Report in 2011, and completed a study funded by the Robert Wood Johnson Foundation examining assessment and evaluation processes in interprofessional education. In 2018, she received the Association of American Medical Colleges (AAMC) Southern Group of Educational Affairs Career Educator Award.